Some of the finest Indian writing in English is in the form of poetry. A poet and editor offers his recommendations. Indian poetry in English (and in English translation) continues to delight readers. Last week we looked back at the best of Indian poetry in 2014. Now, we consider poetry books that are due out in 2015, including a few books that came out at the tail end of last year and were not noticed adequately, and some others that had slipped under the radar. Kazim Ali’s All One’s Blue (HarperCollins) is a marvellous collection that showcases the best poetry from all his previous collections, including new poems. His work is marked with a finely concentrated use of language that pushes the understated lyric mode to its limit. Beautiful, intelligent, moving, wide-ranging and finely wrought ‒ this is poetry not just for poetry and literature lovers, but everyone. Kazim Ali is an outstanding poet, and you will be fundamentally changed after immersing in his verse. When our nation’s Founders were heading to the Continental Congress, Abigail Adams entreated husband John to “remember the Ladies.” We know what became of that plea. So, as the prospect of “the next great copyright act” sparks Copyright Office and PTO studies, congressional hearings, and interest-group advocacy, a sentiment of hopeful skepticism underlies my exhortation to “remember the authors.” The U.S. Constitution authorizes Congress to secure for limited times the exclusive right ofauthors to their writings. That right, as enacted in our copyright laws, however, has long fallen short of ensuring that authors enjoy the fruits of their intellectual labors, or even receive credit for creating them. 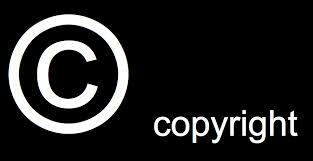 My wish-list for copyright reform therefore puts two hopes at the head of the agenda. First, all authors (including “employees for hire”) should enjoy enforceable rights of attribution. Second, and for the United States more radically, the copyright law should limit the scope of authors’ grants in order to ensure that authors are fairly remunerated. In this column I will address the first aspiration; a later column will detail the second.